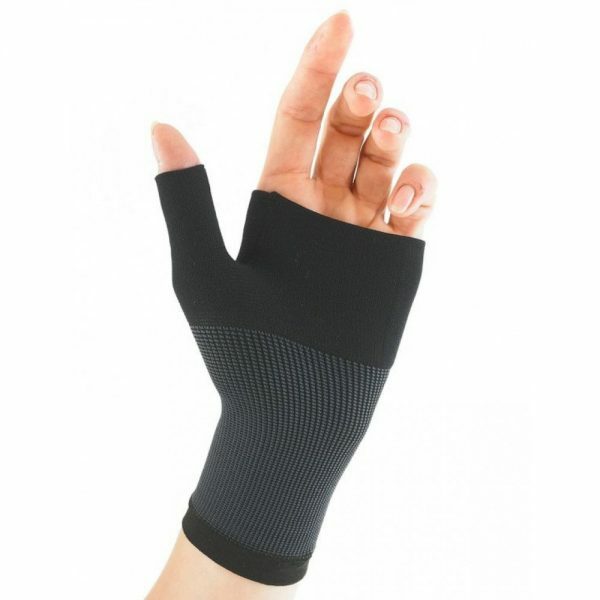 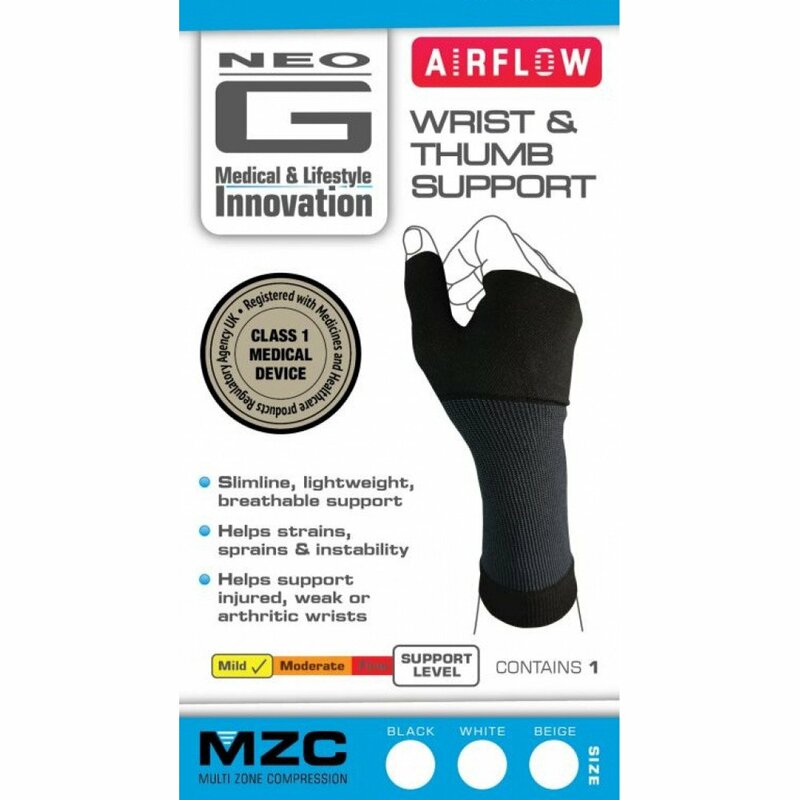 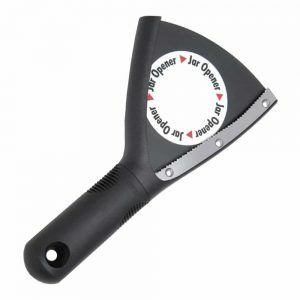 The Neo-G Airflow Wrist & Thumb Support with Multi Zone Compression provides a snug, yet flexible fit, helping warm muscles and support the wrist during sporting and occupational activities. 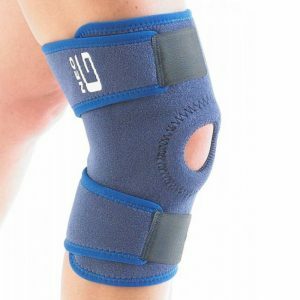 The specialist breathable fabric helps control moisture during intense activities whilst providing support during movement. 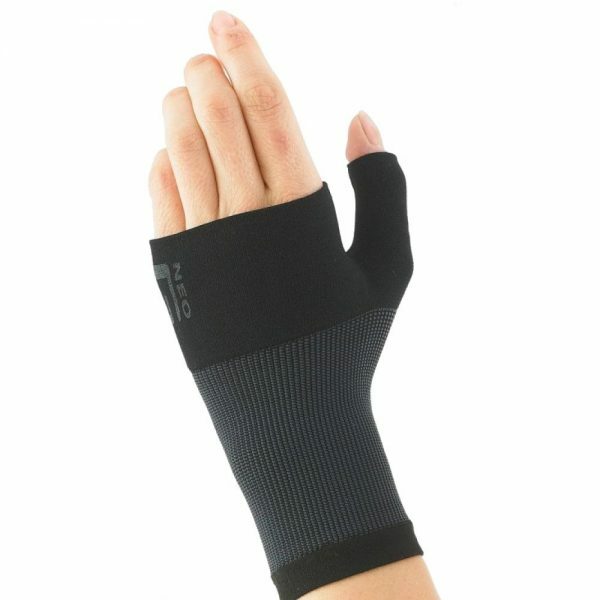 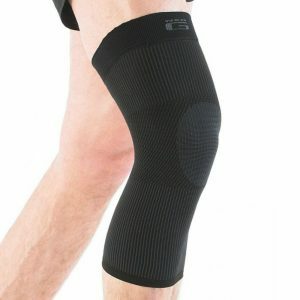 The slimline, snug and dynamic design means it can easily be worn under everyday clothes at work, home or on the field for comfort, support and reassurance when you need it most.